"Khachar Bhitor Ochin Pakhi, Kemne Ashe Jae? Tare dhorte parle mono beri, ditam pakhir pae. - Bangla Folk Song by Lalon Fakir, a great mystic soul of Bengal. Literal Meaning of 1st two lines, "Look how does the Mysterious Bird inside the Cage comes in and goes out. If I could only hold it back, I would put chain around Bird's leg." ... 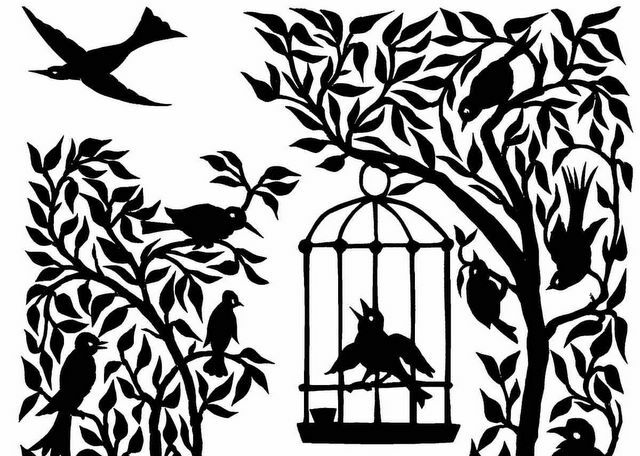 Here the bird signifies human soul, the cage signifies human body. Coming and going signifies unending birth and death of mankind. A wonderful song both in meaning and tune. See how it comes and goes." [>] You may listen (stream audio) to this beautiful song in original Bangla here. alternate link. download real format here. [>] Listen a modern acoustic rendering of the song. [>] Listen here a instrumental track via esnips of the song.